Quality assurance is written with a capital Q at Laboratory Dr. Quade & Kollegen GmbH. The laboratory has a vast experience with quality measures and stands for quality and reliability beyond the almost 15 years Ms. Dr. Quade, M.D. is laboratory director. 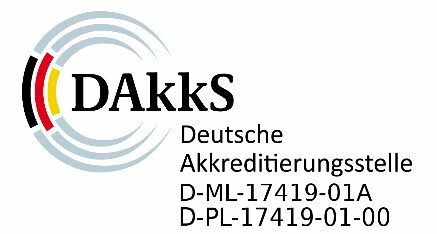 Successful accreditations according to DIN EN ISO 15189 and DIN EN ISO/IEC 17025 confirm our high quality standard and competence. Starting at the end of 2014, one of our goals was not only to comply with the aforementioned standards but also implement the strict U.S. quality norms recorded in CLIA '88 (Clinical Laboratory Improvement Amendments). 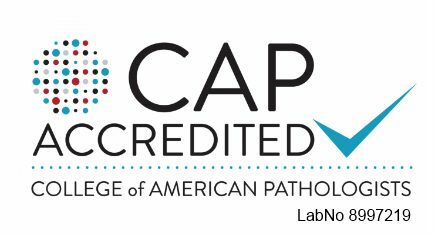 The verification of these requirements is done by CAP inspectors (College of American Pathologists) and result in a CAP accreditation. The quality certification is necessary for those in-vitro diagnostic analysis and/or medical product investigations that find use in the U.S. In addition, by using standardized tests and quality measures the collected data is perfectly suited for research purposes (e.g. studies) and able to contribute to the comparability of (inter)national studies. We are already able to provide services in Phase I and Phase IIb studies. At the end of 2015, three CAP inspectors performed an intense 2 day audit that included all areas of the laboratory, each member is a recognized medical specialist in his/her field (human genetics, hematology and microbiology). They confirmed the laboratories quality and competence, which resulted in a successful CAP accreditation. The CLIA certificate was submitted mid-2016. Only about 5 diagnostic laboratories in Germany are in the possession of both CAP accreditation and CLIA certificate.